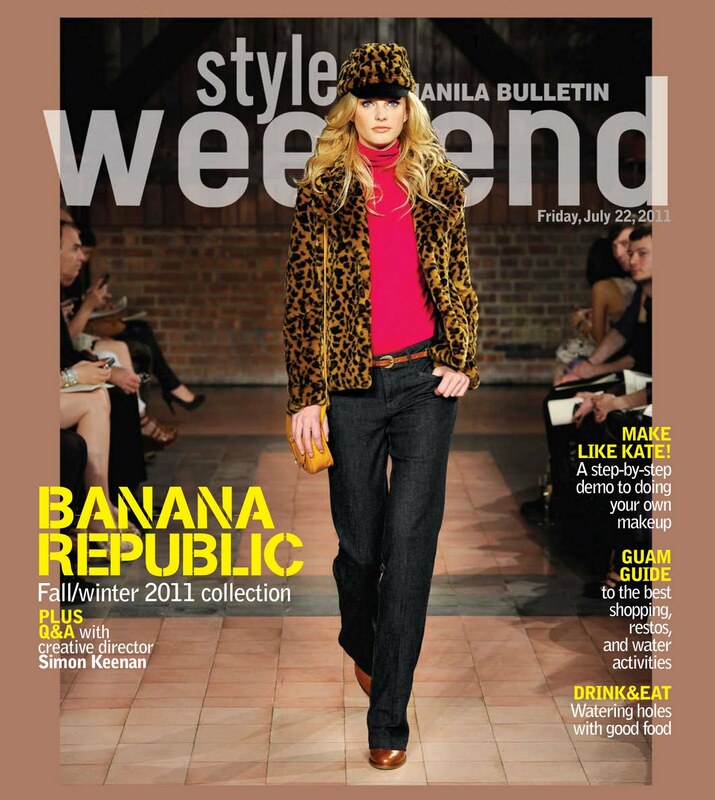 pls buy manila bulletin today (jul 22) for your free copy of style weekend! on the cover: banana republic brings us to new york to get an exclusive preview of its fall/winter 2011 collection! plus Q&A with creative director, simon keenan. also in this issue: accessory trends for f/w, preview EIC pauline suaco-juan's mon-sun style, how to do your own makeup ala duchess kate, guide to guam, pubs with grub, and more!